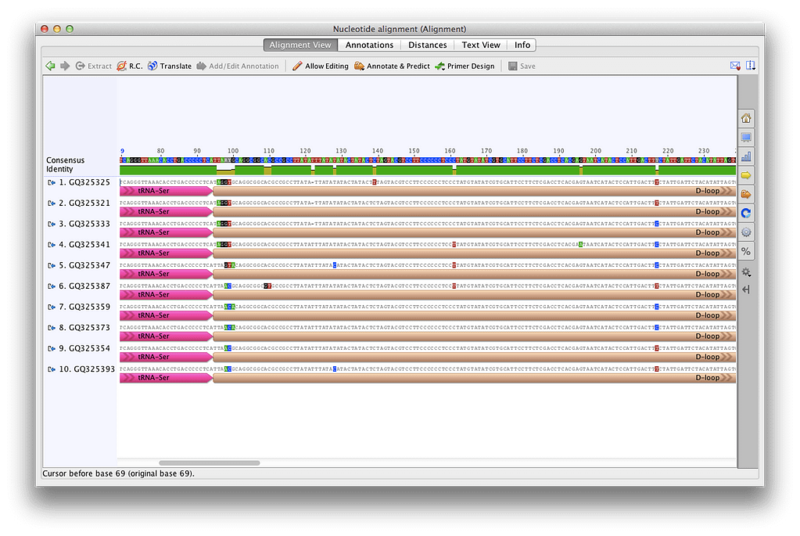 Sequence alignment visualization and editing. Annotations. Select from multiple algorithms. No matter what alignment you choose, the data is still yours to edit and annotate in a way that works for you. 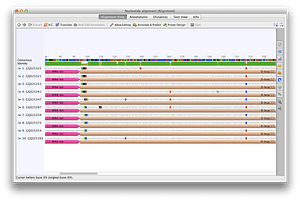 Better genome alignments are just a few clicks away. 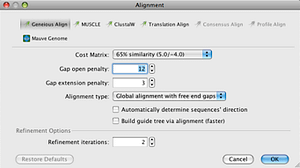 Pairwise Alignment – Develop the skills needed to align pairs of DNA and protein sequences with Geneious using dotplots and alignment algorithms. Aligning Bacterial Genomes with Mauve – Learn how to align bacterial genomes using the Mauve plugin for Geneious. This tutorial covers alignment of complete genomes and ordering of draft genomes against a reference. Geneious is paramount in my research so I can’t be without it for too long. 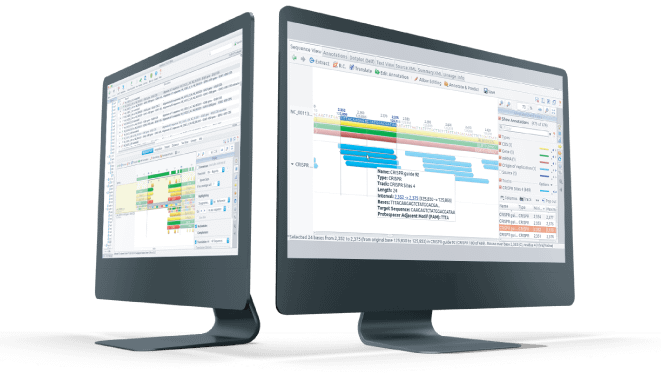 The combination of powerful analytic features, intuitive navigation and file organization, and the responsiveness that representatives have shown to the inclusion of new functions has made us big fans of this software. Geneious is a great software… I just want to express my appreciation to Biomatters to come up with such good product.